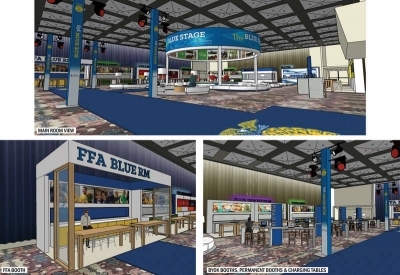 One of the new attractions at the 91st National FFA Convention & Expo is The FFA Blue Room, an interactive experience for students exploring careers in agriculture, science and technology. 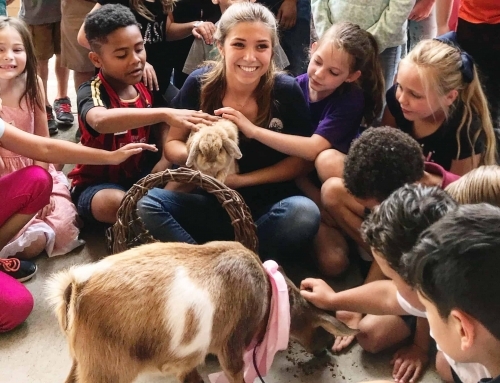 Beth Bechdol, president and CEO of AgriNovus Indiana, pitched the idea, and now her company—along with Microsoft—is a title sponsor of the experience. Q: How does AgriNovus’ mission of supporting agbioscience innovation in Indiana intersect with the views and mission of FFA? A: One of the pillars of AgriNovus’ activity is about building a 21st century talent pipeline for our work in food and agricultural innovation. 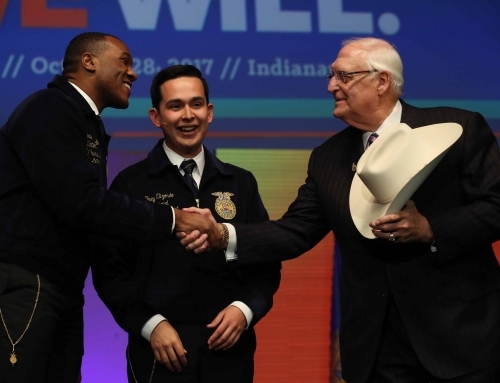 When I think about the place or the location for us to really tap into that kind of future talent and leadership, it’s got to be FFA. 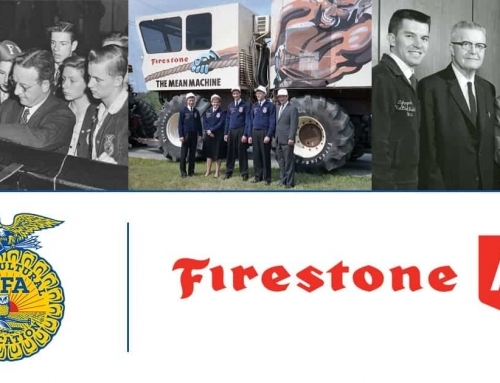 We knew that building our relationship with FFA and figuring out how to launch this technology experience together would be a natural opportunity for us to tell the Indiana story. We want to get young people thinking about careers in the future in food and agriculture that are innovation- or technology-driven. We might spark an idea for one student to think about a new career pathway in a tech-oriented field. But maybe we could spark an idea that maybe they’d want to have that career in the great state of Indiana, which is something we’d love to see happen. 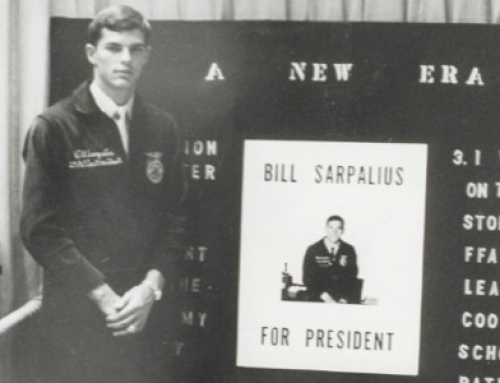 Q: What do you hope to accomplish with FFA members as a result of The FFA Blue Room? A: AgriNovus has two objectives. One, we want to show off Indiana’s strengths in the agbiosciences. 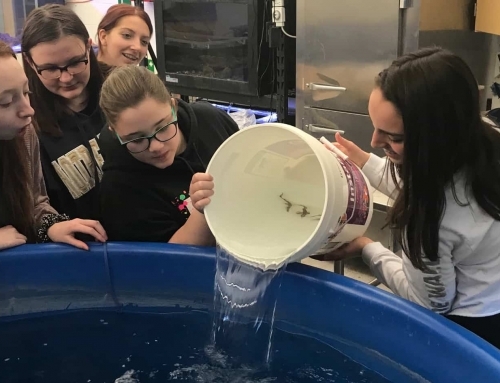 When students are in the entry room, there’ll be a pretty amazing story of Indiana’s assets and leadership and what we call the agbiosciences, which is part of our public education and public awareness mission. Second, is creating a lightbulb moment. We want to be a small part with all these other companies and partners with National FFA to launch an idea in one student’s mind about, ‘I never thought that I could be a …’ or ‘I never thought that that was a career in agriculture.’ We’re excited about all the things they’re going to see and about the look and the feel of the room. 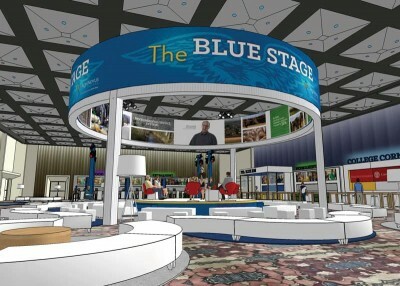 It’s really going to be a distinguishing space at convention. Q: What element in The FFA Blue Room are you looking forward to? What’s your favorite part of it? A: I have two favorite parts. The space that AgriNovus has to tell the Indiana story is one. We’ve got some really cool interactive discussions and conversations and things to do with the students to tell them about the agbiosciences. The second is inside the room itself. There is a massive, 40-foot diameter circular stage with video rings at the top, running video inside and out. That space, multiple times during the day, is the place at which multiple speakers with different backgrounds—big companies, start-ups, researchers and entrepreneurs—are going to give 10-minute TED-style talks to the students. They should be really inspiring. Q: Why do you think students should have this exposure to science- and technology-centered career options? A: They need that exposure because science and technology are so central to food and agriculture — it always has been. 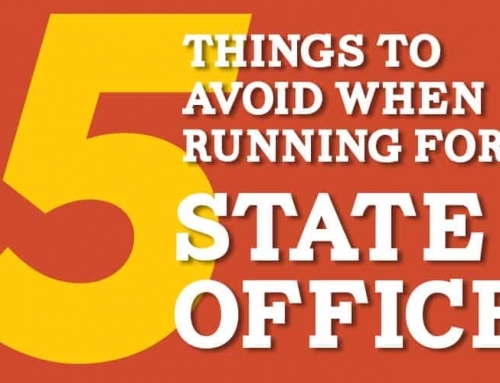 But, it’s also critical to so many other parts of industry, other career pathways and other kinds of job opportunities. We live in a day and age where science and tech is kind of embedded in everything we do and the way in which we live. When you think about these big global challenges that food and agriculture are taking on, we have to protect the planet, we have to feed the world and we have to improve human lives. It’s going to take science, technology, human ingenuity, innovation and grit to get that done. Having this opportunity to really hit home the importance of innovation and technology to not only their personal paths but also these big world challenges is exciting. Q: What do you think is in store for agriculture looking ahead, particularly considering a growing global population and climate change? A: I’m super optimistic. I’m the sixth generation on an Indiana corn and soybean farm; I grew up in agriculture. 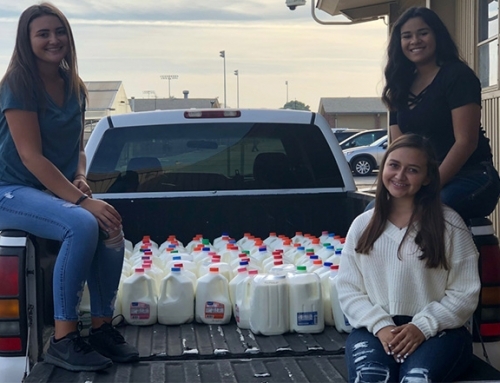 Farmers, people in agriculture, people from rural communities and people passionate about innovation are always finding new and creative ways to tackle these emerging problems and seeing them as opportunities. Out of these challenges — feeding a growing population, figuring out human health conditions or dealing with the protection of natural resources or climate change — we find research-based solutions to solve them and companies can be formed and grow. 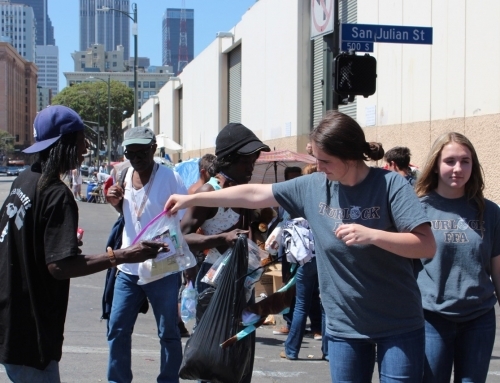 People can build careers around making that a personal mission. Agriculture, unlike any other industry, is perfectly poised and up to the challenge to figure out the solutions that will be technology-based solutions to those big issues. 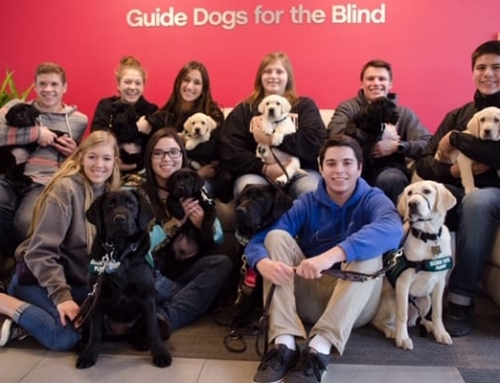 I think a lot of these ideas will come from this next generation of young leaders. 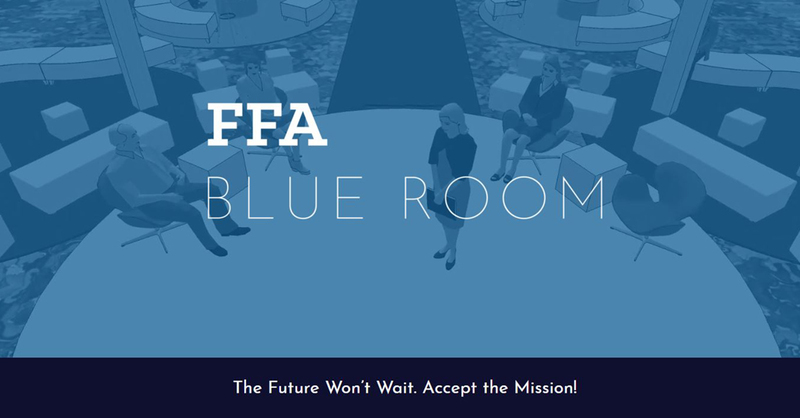 Find more information about The FFA Blue Room.